A question came up at a recent Minister's Meeting about whether or not we could suggest a trade instead of simply requesting a substitution. 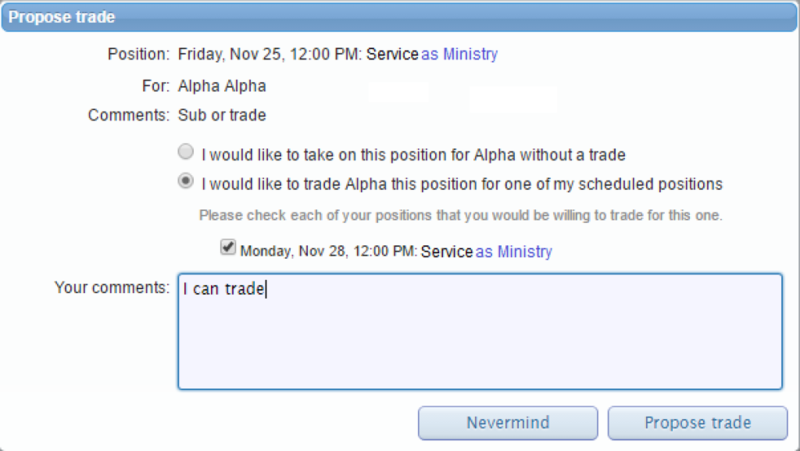 Ministry Scheduler Pro does allow for trades, but they need to be proposed by the minister accepting the sub request. Here is a detailed explanation of how a trade is made. 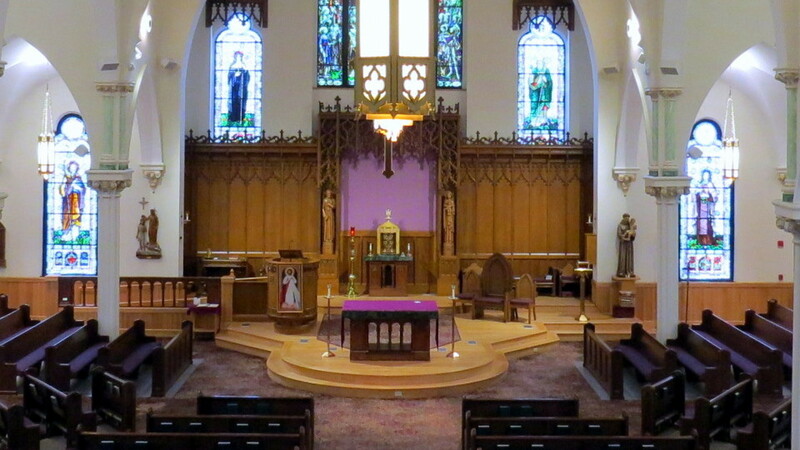 You are scheduled to serve at the following times. If you can't serve at one of your scheduled times, it is very important that you find a substitute ahead of time to take your place. You can make a sub request by clicking on one of the (request sub) links above. Substitute requests have been made at the following times. To volunteer to fill a position, click on the (volunteer now) link.